Libba Bray visits Southern California to promote The Diviners. I’ve been a fan of Libba Bray’s since 2008 when I read and adored her Gemma Doyle trilogy. 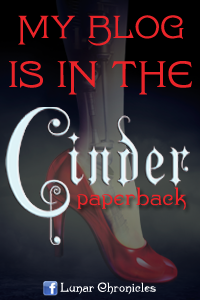 Hers was one of the earlier fantasy series that proved to me this genre was surely at the top of my list. Then I came across her book Going Bovine and realized I easily crush on this author’s writing! However, I haven’t read a book of hers since and quite frankly I miss the lady. So when I heard she was going to be at one of my favorite California Southland bookstores touring her current release The Diviners, I was so excited to make a trip down there and meet the woman that captivates my attention, and what an awesome time it turned out to be! I have so much to share!! The event started off with a Halloween Haunting of sorts. We were treated to one of Libba’s early stories written back when she was in the fifth grade. For those of you that haven’t had the pleasure of Libba doing a reading, let me just say I could NOT stop laughing!! Don’t get me wrong, her early writing of Death Castle was not bad at all… well not completely anyway, :P but her narration is uniquely Braylicious! She had the crowd cracking up!! I enjoyed listening to her early non-published work of characters falling down holes and getting stuck in the 16th and 17th century for years, so pretty much IT.WAS.AWESOME! When she has writer’s block, she listens to music for inspiration. The hardest book she’s written to date was the concluding installment of her Gemma Doyle Trilogy – A Sweet Far Thing. Her favorite book of her collection is Going Bovine, which also happens to be my all time favorite. She narrated the audio for her Beauty Queens novel in 5 days and broke both arms in a fall while leaving the studio. OUCH! Her typical writing day starts at around 7:30am and she enjoys writing at a café near her home. When asked what current YA books she’s recently read and enjoyed, she mentioned The Raven Boys by Maggie Stiefvater and Every Day by David Levithan. Some of her favorite children stories include Charlotte’s Web and Narnia. And if you asked her what her favorite classic is, that would be Cather in the Rye. Libba Bray also spent some time providing tips to aspiring authors including how important it is to read as much as possible, including books outside of your genre. She mentioned reading books that are wonderful so they can inspire you, as well as books that are bad so they can boost your confidence. LOL But most importantly, she stressed the importance of being brave and taking risks as a writer. Overall, after getting a chance to meet and chat with her, I can’t wait to dive into The Diviners. My visit with Libba Bray was fantastic! I can’t end this wonderful author event without mentioning another highlight to my evening. Let me start off by saying that I’ve been on virtual book forums for close to five years and one thing I value besides the great book recommendations I receive from fellow avid readers, is the friendships I make along the way. Well, last night I had the chance to meet Rachel a fellow book blogger from The Readers Den. I have never met her face to face, but we chat all the time behind the scenes. When I got to the event, I knew exactly who she was and she saved me a spot at the front of the crowd. Thank you so much Rachel! That’s my favorite spot to sit as well. :D When I sat down, I felt like we just picked up right where our last conversation left off. Having never her met her before; you would never guess that from our interaction with each other. We laughed, talked, shopped and had tea at the café after the signing and it was the perfect ending to a great night full of fabulous book fun. Rachel, you are full of awesome! I loved meeting you! Okay, last bit, I promise!! I was able to obtain an extra copy of The Diviners and have it signed by Libba Bray. Yup, that's her... signing the book. :) She also gave me some awesome swag for the giveaway, including a Diviners necklace and a few buttons. 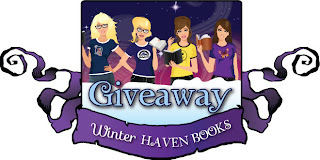 All you have to do for a chance to win this signed copy of The Diviners and swag is fill out the rafflecopter and share a thoughtful comment on my visit with Libba Bray or anything you’d like to share about this author and why you’re excited to win The Diviners. Good luck! I have been anxiously awaiting this book, Libby. I had also planned on attending our signing this month, but circumstances aren't allowing me to do that or to purchase the book at this time. Thanks so much for the chance to win a copy. You girls rock! I love that you met another blogger! How totally awesome is that? I follow that blog, too! Thanks for sharing and thanks for the giveaway! I have heard GREAT things about this book! It sounds like a fun night! I would love to be able to go to author events like that. Thanks for the giveaway!! It sounds like you had a great time! 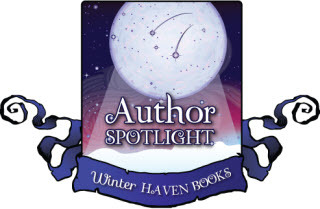 Author events always seem so fun, plus the other book bloggers you get to meet. 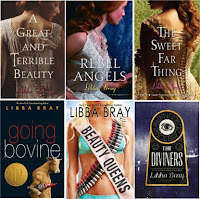 I like hearing anything about Libba Bray because I love her books so much! She's a great writer and should never stop! I love Libba Bray! I read the Gemma Doyle trilogy and loved it. I have been waiting for The Diviners all year and have yet to read it. Thank you for the giveaway! I'm so jealous! Libba Bray is such a wonderfully talented author. I love her writing styles and her stories are original. I can't wait to read The Diviners. Thanks so much for the chance to win! You're welcome Holly! I agree, she's a great writer!! I must admit this is a new to me author and book. I am so happy you had the opportunity to meet with her. I know the one time I was able to meet with an author I followed was a total fangirl moment for me and if you knew me at all that is so out of character LOL but it was marvelous. 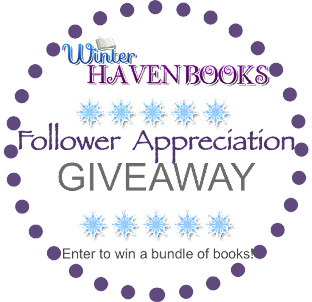 Thank you for sharing with us this wonderful opportunity and lovely giveaway. 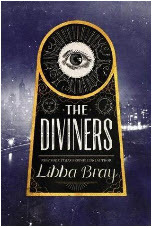 I've always wanted to read The Diviners - or any Libba Bray books! Thanks so much for the giveaway! You're welcome! I hope you get to a book of her's soon. They're really good! Thanks for visting! Yes, Libba is super sweet. It was great to meet her. YOu're welcome and good luck! I think that's Awesome that you got to meet up with another blogger. And she saved you a seat too! I loved her Gemma Doyle trilogy too! Good luck with the giveaway. THREE hours left to enter!! I would love to meet Libba Bray. I first feel in love with her reading her Great and Terrible Beauty series and seriously look forward to readin this one as I hav heard amazing things!! Thank you so much for the chance to win! P.s. I accidentally put my twitter name for my GFC name which is actually Tiffany M. Sorry!!! No worries Tiffany. We jump through hoops to locate our winners and send them their books. :D Good luck! Love the advice for writers about reading--I've been in a few classes where the teachers iterate reading with eye of a writer; seeing what works and what doesn't, being discerning--and the whole being brave and taking risks thing--boy howdy, do ya ever! I'm definitely still working on both.